With the first day of school lingering in the not-so-distant future, I’m feeling both excited and overwhelmed. My daughter is starting first grade this year, and while kindergarten helped us get our feet wet with school routines, homework, and extracurricular activities, the start of elementary school feels like a pretty big jump with a lot of unknowns. The good news is that most of my friends got married and had kids long before I did, and when I told them I was teaming up with Boiron to share the best back to school tips and tricks for parents, they couldn’t wait to share their best mom hacks for a smooth school year. 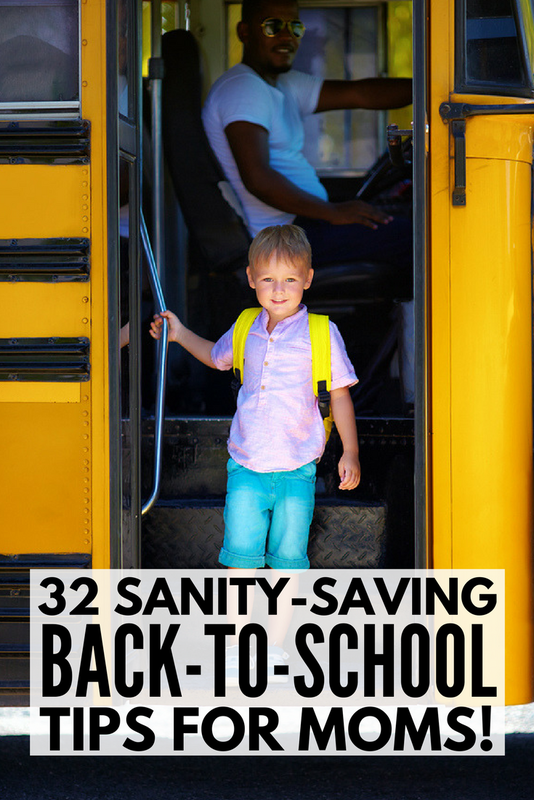 From creating healthy sleep habits and establishing a good morning routine to handling back to school anxiety and learning how to make homework more manageable, we’ve got 32 back to school tips and tricks for parents to help make this your best year yet! Opt for an earlier bedtime: While some kids may sleep for longer stretches when they’re overtired, that seems to be the exception rather than the rule, and if your child is already showing signs of sleep deprivation (think: morning grogginess, temper tantrums, poor focus, hyperactivity, and irritability), try moving her bedtime up an hour for 3 nights and see what happens. I think you’ll be pleasantly surprised! Be consistent: Your BFF might brag that her kids can sleep anytime, and anywhere, but the vast majority of children thrive best when they are on a consistent sleep schedule, so if your little one finds it difficult to fall asleep – and stay asleep – make sure she’s going to bed and waking up at the same time every single day. Even on weekends and holidays! Maintain a predictable bedtime routine: A great tip for creating and maintaining good sleep hygiene in kids is to follow a predictable bedtime routine. By following the same steps night after night, you are giving your child’s body signals that it’s time to slow down and prepare for sleep. Remove overly stimulating activities an hour before bedtime in favor of quiet activities like reading books, avoid sugary snacks and too many liquids, and create a short ritual (example: go to the bathroom, brush teeth, put PJs on, snuggle, and then lights out). Offer incentives: Sticker charts are one of the easiest (and least expensive) ways to reward good behavior in children, and they make for great incentives when it comes to sleep! For example, if getting your child to go to bed early is a challenge, you can award one sticker each night your child completes her bedtime routine and stays in bed after you turn the lights off, and after a certain number of stickers are earned, you can reward her with a bigger treat, like a trip to the movies, an ice cream date with mom, or something equally exciting. 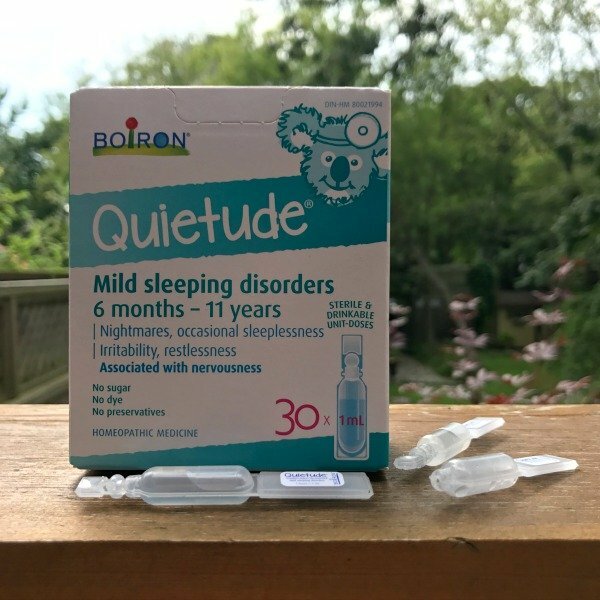 Combat sleep disorders with Quietude®: If your little one suffers from mild sleep disorders, including nightmares, night terrors, and occasional sleeplessness, or if she experiences irritability and restlessness associated with nervousness that makes sleep difficult, Quietude is an excellent homeopathic medicine that can help. Suitable for children aged 6 months to 11 years, simply administer 1 drinkable unit-dose 2 times per day (morning and night) before meals, and then reduce dosage with improvement. Turn off distractions: As tempting as it is to check our email and Facebook feeds, turn on the news, and text our BFF as soon as we roll out of bed, these things can be highly distracting, making it difficult for us to stay focused and connect with our kids. Keep your laptop closed, silence your phone and put it in your purse, and make a commitment to wait until after you’ve dropped your kids off at school to engage with the rest of the world. Create a morning chore chart: If your children have a tendency to dawdle before school, creating a morning checklist with a list of things that need to be taken care of from the time they wake up to the time they put their shoes on can make a huge difference. There are heaps of ways you can do this, but the point is pretty simple: kids need to know what’s expected of them, and if you have it all laid out before their eyes, they will be much more likely to pitch in and help. Get your kids involved: A little responsibility can go a long way in making a child feel as though they are a contributing member of the family, and when we praise our kids for a job well done, we are teaching them that they’re capable, that we trust them, and that their contributions matter, making them more likely to help in the future. Set a timer: If your child struggles with one (or more) tasks each morning, consider setting a timer to help demonstrate the time within which you expect the task to be completed. This helps keep them accountable and takes away the need to keep nagging them! 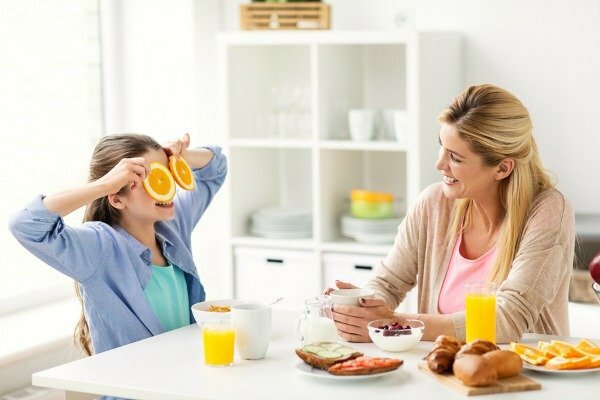 Spend quality time together: As overwhelming as it may sound, finding 5 or 10 minutes to connect with your child each morning can make a huge difference not only in her behavior, but also in her willingness to follow directions. Our kids need to feel a connection to us, so put your phone down, look your child in the eye, talk to her about the things she’s looking forward to at school that day, ask about her friends, and brainstorm ideas for a fun family outing that weekend. Plan ahead: When it comes to organization, blocking off 30 minutes each evening to plan and prepare can make a huge difference. Pack school bags, select outfits, pack lunches, lay out breakfast essentials, unload the dishwasher, sign school forms, and take care of anything else you can think of to help streamline your morning routine. Get up earlier: As painful as it may sound, setting your alarm clock 30 minutes earlier can make a huge difference in ensuring you have time to shower and make yourself look presentable before leaving the house, and it will also allow you to slow down and be more present and available to your children. Create a family calendar: If you struggle to stay on top of social commitments, extracurricular activities, school performances, school projects, field trips, work events, and doctor and dentist appointments, it’s time to create and maintain ONE master calendar for the whole family. There are heaps of apps that will synch with your smartphone, and you can grant access to others to ensure nothing falls between the cracks. Manage your energy properly: While most of us are good at managing our TIME effectively, learning how to manage our ENERGY effectively can make a huge difference. Once you pinpoint when you are at your most productive – for me, it’s first thing in the morning after I drop my daughter off at school – you must organize your schedule such that you can take advantage of that time to tackle your most important tasks. Outsource: Contrary to popular belief, delegating unimportant tasks so you can focus on the things that matter will NOT make you a bad mom. I’m serious! Write down all of the things you are responsible for each week and determine which ones you can affordably outsource so you have more time for the stuff that counts. Create excitement: One of the best ways to beat school jitters is to create excitement instead of dread. Get your kids involved in back-to-school shopping, plan a fun first-day-of-school activity, and make a gift for her teacher together so she has something to look forward to. Practice: A great way to combat back-to-school anxiety is to practice! Get comfortable with your morning routine, drive/walk to school a couple of times, spend some time on the school grounds (if you can) to help familiarize your child with her surroundings, and play ‘school’ together at home! Let your child pretend to be the teacher, give her fun ‘homework’ assignments, and help her see the positives instead of the negatives. Organize playdates: Playdates are a fun way to get kids excited about school! If your child already has one or more school years under her belt, connect with old friends in the final weeks of summer to foster excitement. If she’s just starting school or you’ve recently moved to a new neighborhood, get her involved in community events and activities in the hope that she can meet other kids in her new class, and be quick to invite her new friends over once the school year begins to help her develop friendships and feelings of comfort. Listen: As tempting as it is to tell our kids they have nothing to worry about as a way to distract them, sometimes the best thing we can do as parents is to simply listen. If your child is finding school stressful, allow her to put her feelings into words so you can figure out exactly what is bothering her and (hopefully) find a solution to her worries. Create a goodbye ritual: Children like consistency, and creating a goodbye ritual can go a long way in helping an anxious child cope with the stress of school. Develop a special handshake, listen to a favorite song, or talk for 5 minutes on the front steps of the school. Remember to keep it short, not to linger, and to be positive. 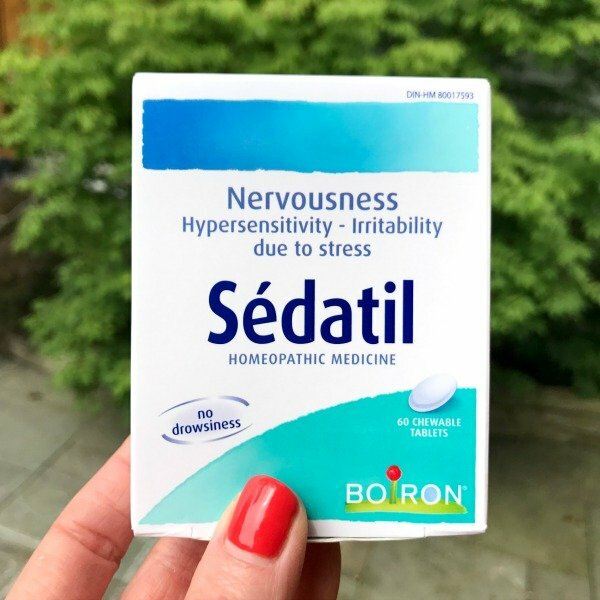 Alleviate nervousness with Sédatil: If your child is really struggling with back-to-school anxiety, another option to consider is Sédatil, a homeopathic medicine used to alleviate feelings of nervousness, hypersensitivity, and irritability caused by stress in children 12 years of age and older. Administer 2 tablets, 3 times per day, and reduce frequency with improvement. And if YOU are feeling a little anxious about your little one starting school, Sédatil works well for adults too! Take a break: As tempting as it is to enforce a ‘homework right after school’ rule with our kids so we can get it out of the way and make sure we aren’t scrambling to complete worksheets, book reports, and projects at bedtime, we must remember that our children need a break after school. After 6+ hours of sitting, learning, and (hopefully) following rules, forcing them to sit still for another hour or so is a recipe for disaster. A much better approach is to fill their bellies with a nutritious snack and allow them an hour to unwind and blow off some steam so they are better able to concentrate. Work in manageable chunks: If you and your little one feel overwhelmed at the amount of homework that comes home each day, work in batches with fun activities in between to make it more manageable. Remove distractions: While some kids can do their homework in front of the TV or at the kitchen table while you’re making dinner with no problems, others work best in a distraction-free zone. Learn what works best for your child, and if distractions are an issue, create a homework nook that is tucked away from sources of temptation to help her stay focused. Get up and move! If your child struggles to sit still and stay focused for long periods of time, schedule active breaks into her homework routine, and keep it fun to ensure she remains motivated. Chase her around the house for 5 minutes, challenge each other to a hula-hooping contest, do leg lifts…you get the idea. Use incentives: One of the best things I implemented to help with homework last year (yes, my daughter had homework in both junior and senior kindergarten) was a homework treasure box. I filled it with a bunch of popular fidget toys, and for every 5 minutes of focus, she was rewarded with 2 minutes to play with whichever fidget toy she wanted. It worked wonders! Make sure to pick rewards that will motivate your child, adjust your work versus reward time to ensure it’s age-appropriate, and reserve the items in your treasure box ONLY for homework. Talk to your child. If you suspect your child is being bullied, talk to her about it. Ask her direct questions or use creative tactics to try to get her to open up about the way she is being treated at school. A one-on-one conversation in a safe environment may work for some kids, but others may be more willing to provide details if they are distracted with a toy or activity. Do what works best for your child and try to keep reactions to a minimum. The more emotions you show in response to the things she’s telling you, the less likely she’ll be to open up to you in the future. Talk to the school. Whether your child has told you directly that she’s being bullied, or you sense something is amiss given some of her behavioral changes, don’t be afraid to talk to your child’s school. Ask her teacher if she’s noticed anything and seek advice from the school guidance counsellor, but be careful not to create a situation that will make the bullying worse. While younger bullies might stop their behavior if they are reprimanded, older kids will likely torment your child even more if they catch mom and dad trying to intervene. Put together an action plan. Bullying tends to be worse during recess and lunch, so try to come up with a plan to help make those times easier for your child. Can she help out in the library or office? Does the school have a buddy system where older kids look out for those who are being bullied? Would the school consider adding additional teacher aides on the playground so nothing is missed and a bully can be caught ‘in the act’? Can your child come home for lunch? Brainstorm ideas and give them a try! The more your child sees you trying to help, the more supported she’ll feel. Build up your child’s self-esteem. 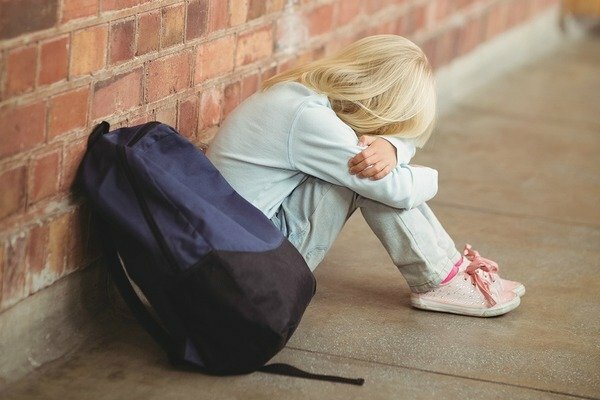 If your child is being bullied at school, it is extremely important that you provide a safe environment where she can be herself, and that you find ways to build up her self-esteem. While your role is to be your child’s parent first and foremost, recognize when she needs you to be her friend. Bullying can be extremely isolating, and knowing she has a supportive parent to come home to each day can go a long way in making her feel loved, safe, and secure. Remind her about her strengths, encourage her to join extracurricular activities she enjoys with like-minded kids, remove her from situations in which she isn’t treated fairly, and model positive self-esteem yourself. Don’t be afraid to take action. If you’ve tried everything in your power to get the kids in your child’s school to stop bullying her without success, don’t be afraid to take action. Speak to the bully’s parents, escalate the issue to the school board, and consider moving your child to a new school. Use Sédatil to calm feelings of anxiety and nervousness: As mentioned earlier, Sédatil is a reliable homeopathic medicine that can help kids cope with the emotional tension caused by stressful situations. Available without a prescription and suitable for kids aged 12 years and older, Sédatil can help alleviate feelings of nervousness, hypersensitivity, and irritability that may arise in response to being bullied at school. If I can add one more piece of advice to this list of back to school tips and tricks for parents, it’s to be present for your child. Turn your cell phone off. Ask her questions. Be a good listener. Get involved. Spend quality time with her. And pay attention. To find out more about Boiron – the #1 brand of homeopathic medicines recommended by pharmacists* – and the medicines they offer, CLICK HERE. You can also follow Boiron on Facebook, Twitter, Pinterest, Instagram, and YouTube. *Pharmacy Practice+ and Profession Santé 2017 Survey on OTC Counselling and Recommendations. If you found this collection of back to school tips and tricks for parents helpful, please share this post on Pinterest! And if you’re looking for more parenting tips and tricks, please follow our Parenting board where we share all kinds of fabulous ideas!